Flexible learning – If our goal is to support students in becoming self-directed, independent and interdependent, then we must provide a learning environment that supports them in doing so. The above is a statement from an American Educationalist at a major school. She goes on to claim that classroom learning, with its rigid timetables, start and finish times and fixed curriculae, actually act as barriers to learning. I have to say I agree. If students are to develop 21st century skills such as Creativity, Critical Thinking and Problem-Solving, Collaboration, the Ability to Access and Analyse Information And, if they are to become Innovative and Entrepreneurial, Agile, Adaptable and demonstrate Initiative, then a learning environment must be provided that supports the development of these skills. 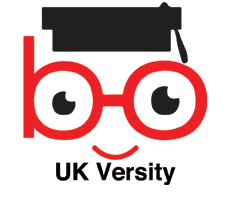 We at UK Versity on line, are structured in ways that create such an environment. Tutorials, presented on line, that pave the way for students to access the provided learning materials. Support, that allows them to take charge of their own learning, whilst having a knowledgeable and experienced teacher available at the end of a phone line or E mail box when needed, are the way forward in today’s ever more complex world. On line education will eventually become mainstream, but it is here now, for those focussed students who wish to succeed. It is also excellent preparation for the style of learning. Should they wish to continue to university.